Had a lovely time spent with friends at The Directors Club in SM Mall of Asia. I didn't know the place exists and find it's perfect for small screenings. It seats about 30 people, and they serve tons of food and drinks which would go well with the movie. 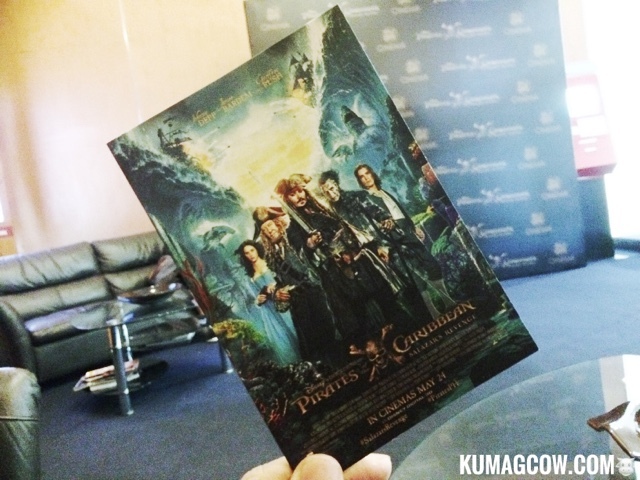 SM Lifestyle and Entertainment recently held a promo for fans of their Facebook page https://www.facebook.com/smlifestyleentertainment/ and their Twitter handle @SM_Cinema for deserving people and got them tickets to see Pirates of the Carribean Salazars Revenge. Thing is, we got to watch it ahead of everyone else. So if you're lucky, and you also follow their Facebook page and Twitter account, then you could be some of the winners too. The food was awesome, I mean who doesn't like freshly popped pop corn and those lovely burgers that SM Cinemas have? They're actually cheap but really filling. I also enjoyed the reclining seats since The Directors Club have Lazy Boys for every patron. It was like watching a show in your own living room, with a super wide screen of course and air conditioning. Plus a simple buzz would get people rushing with service, have your popcorn and soda ready in minutes while you watch the movie. Experience it yourself at the 2nd Floor of the Mall of Asia's main building. At least you don't have a lot of people and heads in your way, it's more intimate and perhaps a good place to watch with your friends and family.